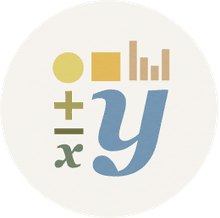 For users that have harnessed the power of Google documents and variety of tools that can be added to up the user experience, here are some math tools you might find very useful. It is handy to have a calculator at your grasp for those times when you need to perform simple functions in the midst of a document. No need to bounce between windows or open a spreadsheet for this; simply install a calculator from one of the many choosing the Calculator app from the Calculator Add on menu. Handy and accurate - this works! Add this powerhouse to the sidebar of the document and you can type complex formulas for insertion with amazing ease. To quote the app:" "Formulas can be created either using the mathematics input box or by typing in their LaTeX representation. The result is then rendered as an image and inserted into your document." If you have ever tried to create formulas and their distinct format in a text document, you will appreciate a tool like this. Find numerical and exact solutions. Simplify and factorise expressions with variables. Drag and drop results and graphs from the sidebar in Google Docs. Best of all, it does what it says it can do! If you need the Quadratic formula, this is the tool to use. Complex equations, custom characters, and geometric signs can be used. You can link to data tables that are already in the document. Even the Speech to Math in Chrome can be accessed to create expressions. Sometimes all you need is the ability to form math ideas in the proper language and format. MathType can handle this fast and smoothly. This tool can also be used in the Google Sheets app so flexibility is at your fingertips.